Osuna Nursery was born out of the blood, sweat and tears of past owner Chang An. 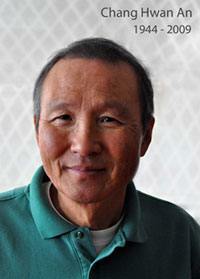 An, an immigrant from Korea, came to the United States with his family in 1976. He became a custodian at a local flower shop where he learned about plants. After excelling in this job, he opened a plant maintenance and rental business--An’s Plant Rental. In 1980, An bought a half-acre lot in the North Valley and began to sell house plants in addition to his plant maintenance business. The customers knew him personally and he was very beloved. In 2004 An was diagnosed with cancer, and he passed away in 2009. Today the business is still in the family, owned by An’s wife, Myong. They have carried on the legacy of Chang’s passion for plants and have expanded the business to many venues, from continued plant maintenance to your everyday gardening needs. Osuna Nursery strives to foster an appreciation of nature & earth, offer exceptional service with the widest selection of quality products and accurate advice leading to success in growing. Our wish is to enrich the lives of our customers, staff and community through all things green. The Osuna Team is dedicated to preserve and protect the environment because life should be beautiful for generations to come. Osuna Nursery is dedicated to giving back. Our efforts are focused in three key areas with hopes of a greener future: Workplace, Community & Environment. Osuna Nursery employs environmentally friendly attempts to help preserve & protect our amazing earth and strongly believes in exceptional customer service, taking care of people, building strong relationships and respect for all things green & growing. Osuna Nursery strives to develop genuine partnerships with fellow green-minded communities, who also foster an appreciation for the preservation of nature & earth. Educational Investments – Osuna Nursery serves as an educational tool to teach young & old alike how to be more environmentally sound as they go about their daily lives. Osuna supports & educates local schools (Placitas Elementary, Sandia Prep, Corrales Elementary) through demonstration, garden center tours & donations. Community Commitments – Osuna Nursery sponsors activities & supports benefits for local organizations within the community. Donations – Osuna Nursery makes generous donations to worthwhile local non-profit causes; (Carrie Tingly Children’s Hospital, ABQ Museum Foundation, Watermelon Ranch, etc. ).